Still image from Joshua Frankel‘s film Plan of the City, based on Change. Change was written for NOW Ensemble, a composer/performer collaborative of which I am a part. Therefore, certain dynamics, inflections, and other performance practices and decisions were decided upon in the course of many rehearsals and multiple performances. Some of these were added to the score, but others were not. 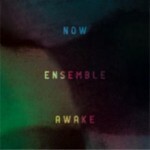 Ensembles which intend to perform Change are therefore highly encouraged to refer to the NOW Ensemble album, Awake (New Amsterdam Records; NWAM029), and use track 1 (Change) as a reference point. This is not meant to inhibit other performance decisions, but to give a richer account of the decisions that were made by the ensemble for which the work was written.